From a young age, I had a powerful respect for the human body. It wasn’t until I was at university that I started learning more about chiropractic. Its principles stood out to me because they were congruent with my personal beliefs about health and the body. The body holds the key to true health and only when it’s free from interference can it express this full potential. After becoming a patient, and experiencing huge positive changes in my health from chiropractic care my career path was obvious. I had to learn more about this science-based healing art. After graduating from McMaster University’s Science program, Dr. Laura attended Canadian Memorial Chiropractic College in Toronto to receive her doctor of chiropractic (D.C.). The science-based programs taught Dr. Laura the foundation she needed. While there, she also began traveling to continue her education at various seminars. 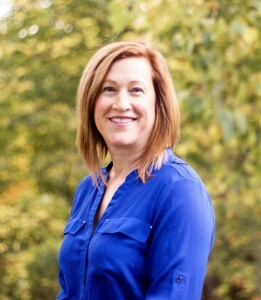 She became involved with the International Chiropractic Pediatric Association and Holistic Pediatric Alliance and is certified in Webster Technique. 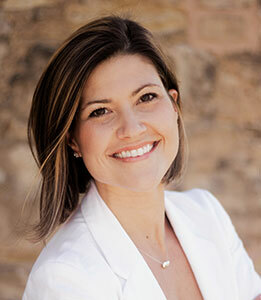 Dr. Laura focuses her continuing education in chiropractic pediatrics and functional chiropractic neurology. I don’t have an athletically inclined bone in my body yet my childhood was filled with all sorts of athletics. My two left feet usually ended up leaving me with an embarrassing story instead of the winning home run. That being said, my parents’ relentless attempts to promote a healthy lifestyle through sport must have rubbed off on me because I went on to pursue a Bachelor of Arts, majoring in kinesiology and psychology from the University of Western Ontario. Like many new university graduates, I had no idea what to pursue next apart from knowing that I wanted a career in healthcare. I was lucky enough to be offered an internship at a local chiropractic clinic and it was there that I became fascinated by the nervous system. Around that time, I began getting adjusted regularly and noticed that after experiencing years of severe recurrent headaches, they were improving. In fact, a headache would resolve almost immediately following an adjustment. Until that point, I had been a lifelong Advil consumer and was astonished that I could experience the same results with a chiropractic adjustment. I couldn’t believe that after 15 years of headaches, the solution was as easy as improving the mobility of my spine and the function of my nervous system. I developed a profound respect for the healing and regulating powers of the nervous system. More importantly, I began to realize that the state of our nervous system is the foundation for the state of our health. This made a lot of sense to me because, and to quote Grey’s Anatomy, “The nervous system controls and coordinates all organs and structures of the human body.” My mindset began to shift from looking at healthcare from a disease standpoint to one that emphasized the preservation of health. And henceforth, my journey as a chiropractor began. I graduated from the Canadian Memorial Chiropractic College in 2015. Since then, I have been dedicated to providing exceptional family oriented chiropractic care that is guided by leading research. My practice techniques include diversified, Thompson, Webster and activator and I have completed continuing education courses in functional neurology, prenatal health and pediatrics. A healthy person has the capacity to do anything with their lives. The way I see things, the single most important thing in life is your health. It is the most fundamental stepping stone to everything else. As a chiropractor, my mission is to be a part of a global change in the healthcare paradigm. I want to see a shift from focusing on improving sickness to maintaining health. With this shift, we can limit illness, live to a greater potential and give our kids and their kids the opportunity to live a fuller life. The change starts with you. Empower yourself to take control of your health. As a community, through education and chiropractic, we can work together to foster a change. 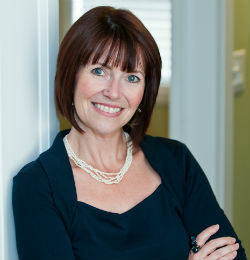 Dr. Alison has competed at the national level for synchronized figure skating, later making the varsity team at Wilfrid Laurier University. Also, a runner, she completed the 42km Scotiabank Toronto Front Marathon in 2014. Dr. Alison earned her undergraduate degree in psychology from Wilfrid Laurier University, followed by her doctorate in naturopathic medicine from the Canadian College of Naturopathic Medicine. 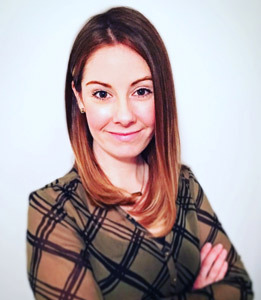 She is also an active member of both the Ontario Association of Naturopathic Doctors (OAND) as well as the Canadian Association of Naturopathic Doctors (CAND). Dr. Alison has a special interest in addressing food allergy and sensitivities, which are common contributors to common childhood disorders, headaches, immune conditions, mood disorders and hormone imbalances. Concerns pertaining to, but not limited to, weight management, hormones, immune function, mental health, and pain can be helped under the care of a naturopathic doctor. Jennifer Robertson has been practicing massage therapy for almost 14 years since graduating from Canadian Therapeutic College. She promotes a preventative approach to health and believes regular massage therapy is one of the tools to optimize whole well-being. Since starting to practice she has been presented with a wide variety of different conditions including stress, carpal tunnel, thoracic outlet syndrome, headaches, joint discomfort, muscle strain, tendinitis and many more. Jennifer is certified in prenatal and pediatric massage therapy. After starting her own family a few years ago she has had a growing interest in massage therapy for pregnancy, infants, and children. With continuing education through the Liddlekidz foundation, she is now a Certified Infant Massage Teacher and a Certified Pediatric Massage Therapist. As a CIMT Jennifer will guide parents and caregivers in the practical application of infant massage during individual or group sessions. Her goal is to help empower families in the use of infant massage to nurture their loving relationship. As a CPMT Jennifer received specific advanced training to enhance her skills and technique to provide pediatric massage and to work with children with varied physical, developmental, emotional and mental challenges. Experiencing for herself the amazing health benefits of regular chiropractic care convinced Becki to not only work in that field but to share her passion and personal results with everyone! Becki’s past experience as a teacher and public speaker allows her to relate well with people of all ages, and her focus on serving others is evident as she welcomes patients into the clinic. As the Chiropractic Assistant at Kinstruct Health Chiropractic & Wellness, Becki sees each day as an opportunity to offer hope and positive change, for those seeking health and wellness! 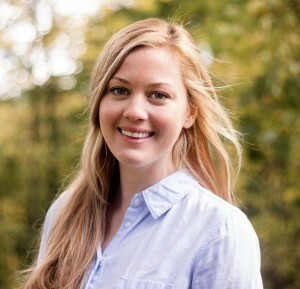 When Becki is not at the clinic, she enjoys spending time with her family, and dog; hiking and fishing; and using her passion for creating healthy, nutritious smoothies, meals, and desserts to share with family, friends, and all those who attend a local community dinner, where she and her family regularly volunteer. The team at Kinstruct Health Chiropractic & Wellness is looking forward to helping your family improve their health. Contact us now to schedule your appointment!